Congratulations to Dundee Independent Advocacy Support! Dundee Independent Advocacy Support (DIAS) has been recognised with the Queen’s Award for Voluntary Service, which is the highest award a voluntary group can receive in the UK for outstanding work in their community. DIAS provides independent advocacy for citizens within the Dundee area who experience disadvantage, disability and social exclusion to champion their rights, to strengthen their voices and to influence a citizens’ health and well being outcomes. DIAS have seen significant growth in demand for its service over the last few years, of which volunteers play a large part, contributing over 22 hours of support per week. 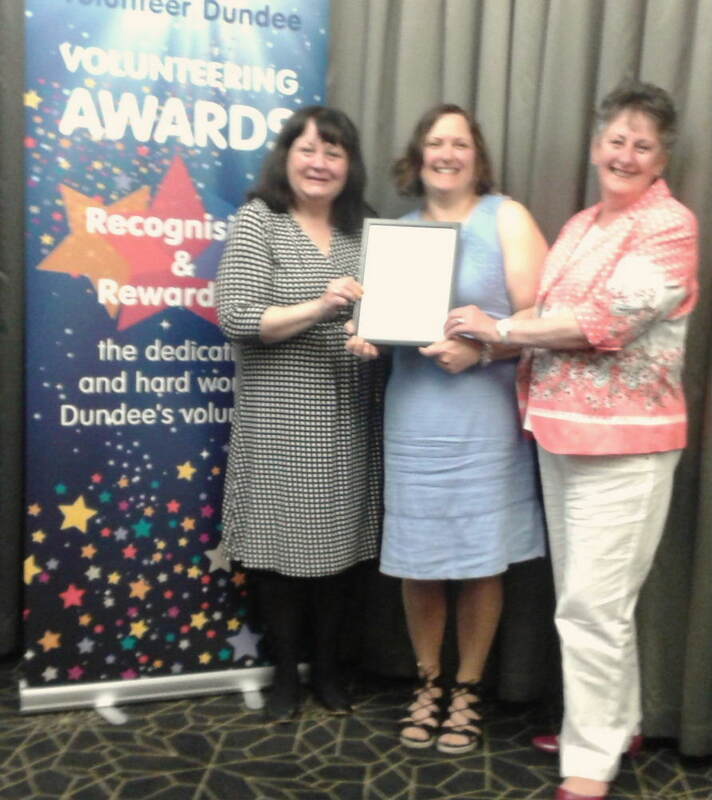 The photo shows Volunteer Coordinator Veronica Harris (centre) with voluntary Board members Mandy Christie and Susan Ross at the Volunteer Dundee Awards Ceremony at the Apex on 1 June 2016. Well done Veronica for being recognised as runner up Volunteer Manager of the Year! Mandy was a very active committee member of the former Blackness Area Residents’ Association in the past and I am delighted that she and her colleagues’ excellent work has been recognised. 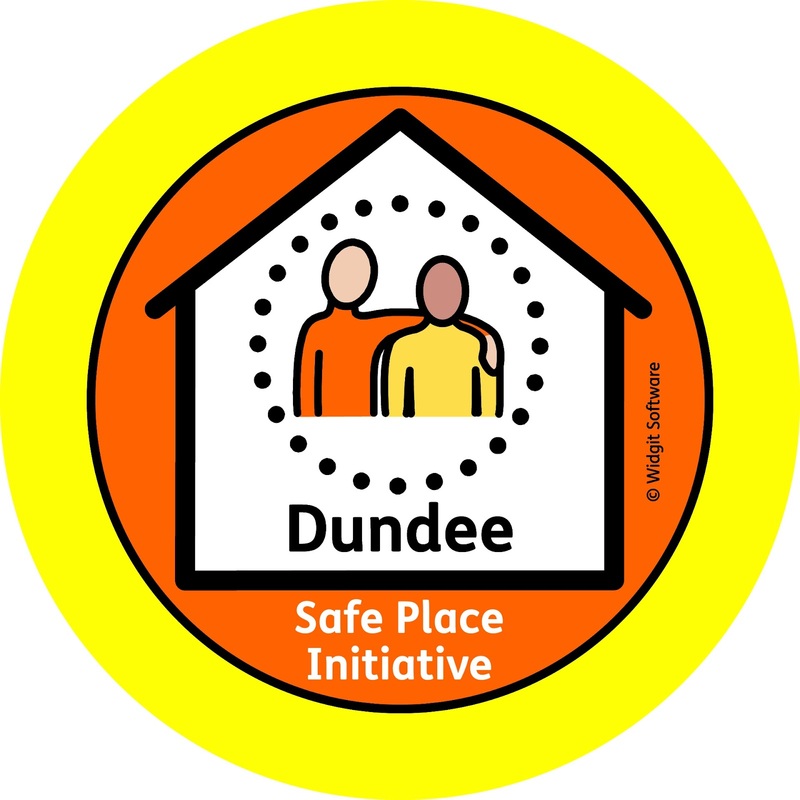 Yesterday, I was pleased to attend the Dundee Safe Place Initiative Launch that took place at the Steeple Church. 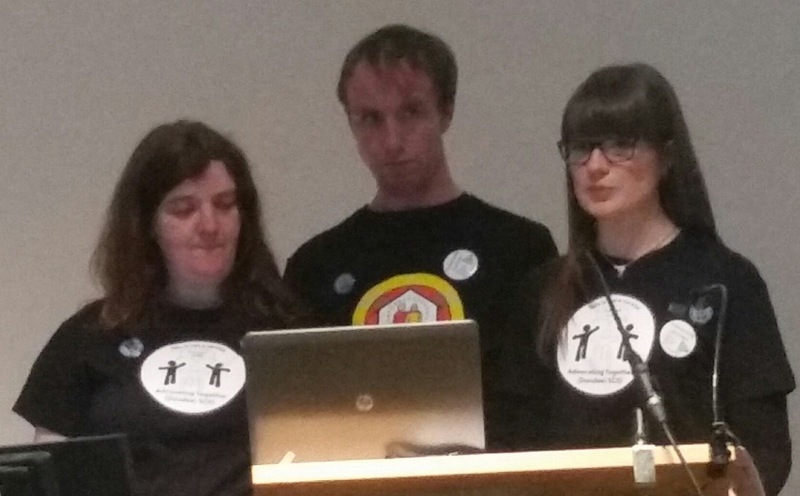 Advocating Together (Dundee), the local, independent advocacy, capacity building organisation based in the West End, secured funding from the Rank Foundation to develop the initiative. The Safe Place Initiative aims to help disabled, vulnerable, and older people in the city centre to feel confident, safe, and free from the fear of abuse, intimidation and harassment. If someone feels they are being bullied, abused or harassed while they are out they will have Safe People they can approach and/or Safe Places and Specialised Safe Places within the city centre to go to. It is a really great initiative and interested businesses, organisations and people can contact Advocating Together to find out more about what they could offer vulnerable people in Dundee. Later yesterday, I attended the Anti-Social Behaviour Strategic Development Group meeting, had my weekly ward surgery at Blackness Primary School and attended the quarterly meeting of the West End Local Community Planning Partnership meeting at Blackness Library. Dundee Independent Advocacy Support (DIAS) is providing a new service for older people in Dundee that was launched in August of this year, through funding we received from the Scottish Government’s ‘Reshaping Care for Older People – Change Fund’. This provision is a telephone information line called DIAL-OP (Dundee Information and Advocacy Line for Older People). 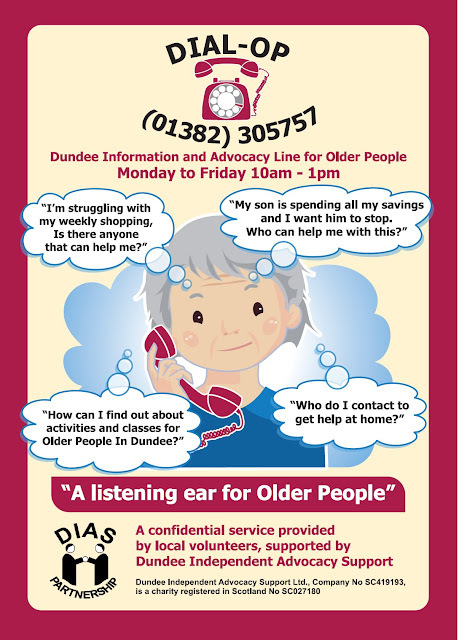 The information line – which is supported by local volunteers – is a fantastic resource for older people, and carers of older people in Dundee, the main strategy being to help signpost callers to agencies and organisations that can help provide them with more detailed and accurate information in relation to their enquiry or concern. It also aims to be a practical point of contact for vulnerable and/or isolated older people who may not have anyone to talk to about their concerns, or perhaps a caller may be apprehensive about discussing certain issues with family and relatives. In a nut shell; if it matters to the caller, it matters to DIAS. • DIAS has ten friendly, local volunteers, who are keen to support callers to the service by providing ‘a listening ear’. All callers are accepted without prejudice and encouraged to talk and explore their options. 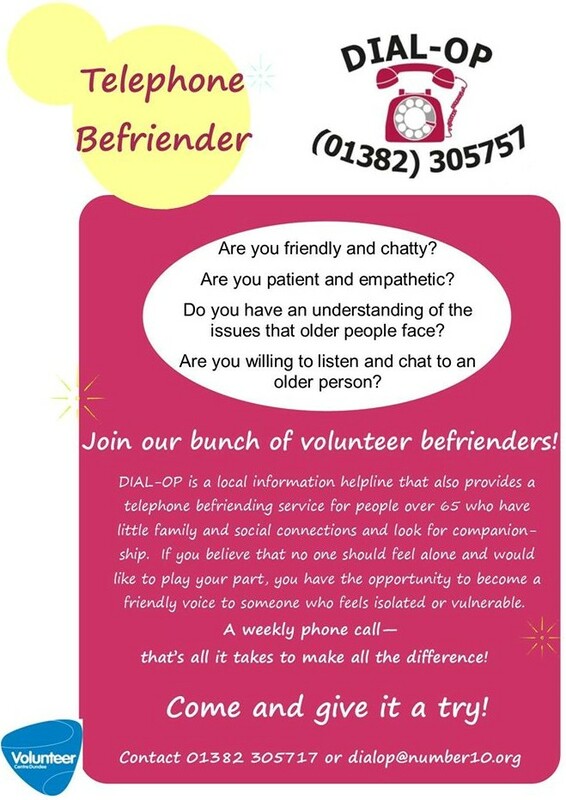 • Dial-op aims to provide a local service which aims to provide callers with information to improve social inclusion, independence and well-being. • Callers remain responsible for their own lives and do not lose the right to make their own decisions. The purpose of this information line is to provide older people with easy access to information on services available to them in Dundee, in turn enabling and empowering choice and control. The service is provided Monday to Friday from 10am-1pm on 305757 and out with those hours DIAS has an answering service which is checked daily as well as an e-mail address – Dial-op@diasdundee.org. DIAS has worked closely with Celebrate Age Network and the Re-Shaping Care Team to help devise this service and have valued their support throughout, and continue to do so.